Guilt ensues… my mind split in two… I’ve always struggled with ‘working’ in front of my girls – i.e. not giving them my undivided attention when they’re home from school. But I know that’s not realistic. When I talk positively about my work with the girls, I feel better and they become more interested in what I do and how I do it. I want them to know that work isn’t this great big evil and that it’s actually something you can enjoy doing – particularly with the resources open to us today. My husband and I are both lucky enough to be able to work from home. Later that day, I relayed the ‘phone’ conversation to my husband referring to my constant undulation of guilt around such matters. I tell him also about finding her in the dining room the day before. She was on my laptop having Googled, “What is Winging It?” and “Who invented Winging It Club?” (Cue heart swell, cue pride, cue huge hug). I had never. For one second. Thought that could be the case. I worship my girls and the ground they walk on but had never thought of it in the reverse. I’ve always wanted to try and show them the way and try to be the best mum I can be. But this blew me a way a little. But it really shouldn’t have. 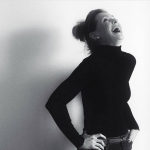 Because I have an amazing mum who I look up to hugely too – she is formidable. But I guess being in the day to day, you don’t tend to think of what your children think of you. You just try to do right by them. Even when you’re telling them off. It appears that I am not alone. 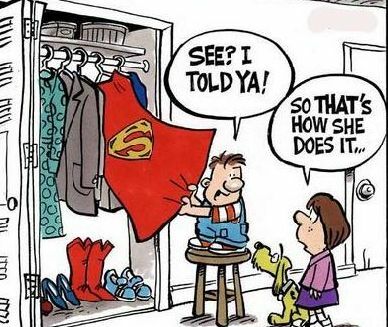 A recent poll amongst infant school children revealed that mums and dads are children’s real-life superheroes. They even think we harbour secret super powers. For example, being able to tell when they’re lying and apparently, we can see what they’re doing even when our backs are turned… (*Full list of what they think we can do below – it’s worth listing separately because of the cuteness). So, we may have phones in our hands rather than laser shooters and we may have stealth powers of concealing vegetables in foods rather than the ability to fly, but to them we are heroes. Lack of sleep may be our kryptonite but their love is the source of our power. Work life balance is a tricky one to master and i don’t think many people manage it all of the time, so don’t be too hard on yourself. Ceriann Smith is mum to two glorious girls and wife to a husband surrounded by women…Ceriann initiated the ‘Winging It’ trend by suggesting Selfish Mother print it on their sweats and tees… She founded Winging It Club to reach out to inspiring women to tell their tales of winging it in life and business to support other women on their journey to embrace their own wings. She is a brand storyteller and PR and communications consultant of 16 years.